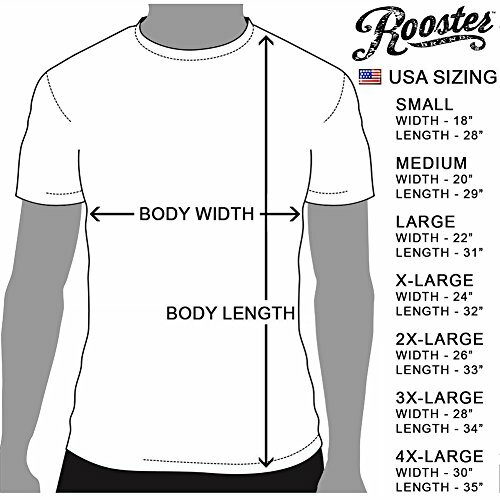 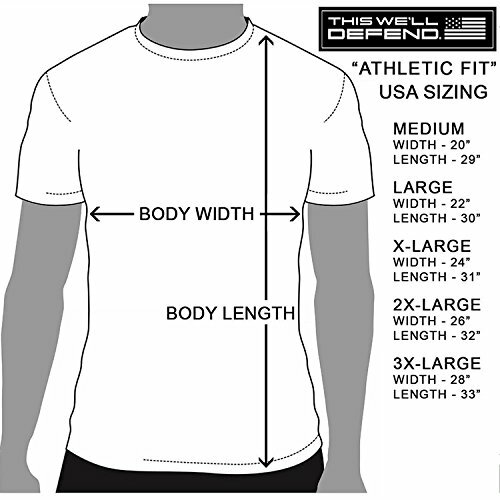 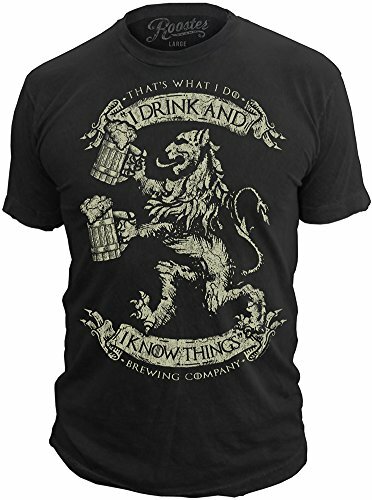 Officially Licensed Rooster Brand Artwork for This We'll Defend - That's What I Do Brewing Company - T-Shirt. 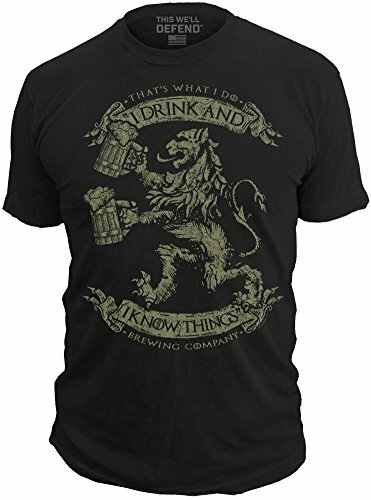 Featuring A Regal Lion Holding Two Bubbling Beer Steins With Ancient Scrolls That Say: I Drink And I Know Things - Brewed Exclusively by That's What I Do Brewing Company. 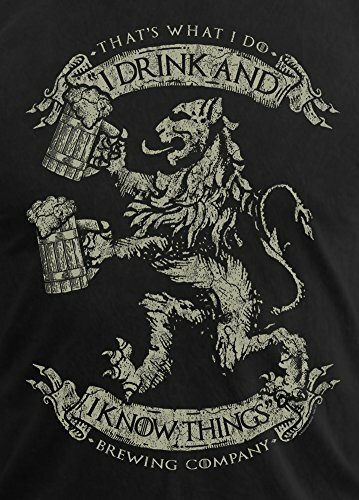 A Perfect T-Shirt for Oktoberfest, Or When You Are Playing A Game of Sorts, or Any Time You Are Hanging Out On Your Throne of Swords!